If you could place all your blood vessels in one long line, they’d be 100,000 miles long. That’s a lot of blood vessels, and any of them can be affected by vasculitis. Amer Al-Khoudari, MD, FACR, at Arizona Arthritis Clinic, PLLC, specializes in identifying and treating the many complex problems caused by vasculitis. To learn whether your symptoms may be due to vasculitis, call the office in Chandler, Arizona, or book an appointment online. Vasculitis, also called arteritis and angiitis, includes a group of about 20 disorders that cause inflammation of your blood vessels. In most cases, the cause of vasculitis can’t be determined. However, it’s often associated with other illnesses, it may develop in reaction to a medication, and it can be caused by an infection. Some types of vasculitis affect multiple blood vessels. For example, rheumatoid vasculitis and polyarteritis nodosa, which is caused by hepatitis C, involve small and medium-sized vessels. What symptoms develop due to vasculitis? Inflammation from vasculitis causes significant changes in the blood vessel walls. They may thicken or become scarred, which narrows the vessel and blocks blood flow. Then the tissues and organs that depend on that vessel for oxygen and nutrients become damaged and die. The vessel wall can also weaken or become enlarged and cause an aneurysm. You’ll develop symptoms that are directly associated with the part of your body that lost its blood supply. That includes a group of symptoms that are too large to list. A few examples include skin rashes, abdominal pain, sinus congestion, shortness of breath, and infections that last longer than they should. Vasculitis is also a systemic disease, so no matter where the affected vessels are located, the inflammation causes fevers, fatigue, and widespread aches and pain. In fact, pain is a common symptom as loss of blood damages nerves and tissues. 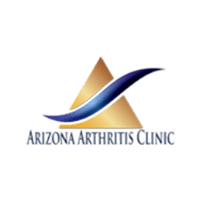 After determining the type of vasculitis, your doctor at Arizona Arthritis Clinic focuses on reducing the inflammation, typically by prescribing corticosteroids. Depending on the type of vasculitis, immunosuppressants or biologics may also help relieve your symptoms. If you have worrisome symptoms or fatigue you can’t explain, call Arizona Arthritis Clinic or book an appointment online.